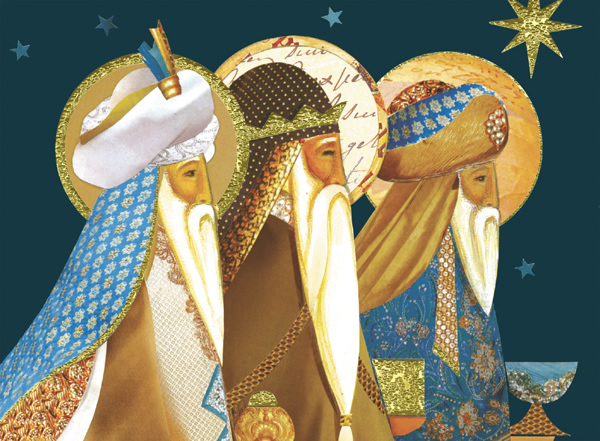 A fantastic design which shows the Three Wise Men following the star to Bethlehem, bearing their gifts of gold, frankincense and myrrh. The star is printed with gold foil, which is slightly textured, giving the image depth. Gold foil is also used on the central crown, two of the Wise Men's gifts and in the detailing on their robes. An elegant card to send this Christmas. By purchasing the Three Kings Christmas card 10p for each card you purchase will be Donated to the Charity of your choice from the Charities listed below.